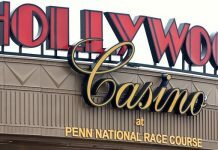 Home USA Online Casino News General Saving paradise, or harboring ulterior motives in the Philippines? Saving paradise, or harboring ulterior motives in the Philippines? It’s official: The island of Boracay, one of the Philippines’ top tourist destinations, will be closed for six months due to mounting environmental concerns. Boracay’s striking sunsets, clear waters, and pure, powder-soft sands – along with the dynamic bustle of its nightlife – will be off limits to visitors starting from the end of this month. Though the gravity of the situation is undeniable, some say there could be more to the story. The update was announced yesterday when the spokesperson for Philippine president Rodrigo Duterte, Harry Roque, Tweeted: “Bora closed for 6 mos effective 26 April” though no additional details were immediately forthcoming. The sudden announcement, with no known plan in place to resolve the pollution issues at stake, incited shock and quickly made global news headlines. Given Duerte’s reputation as an international pariah who has praised Hitler, called then President Obama “son of a whore”, given the EU the finger in an obscenity laced tirade when asked by the block to investigate human rights abuses, and vowed to kill 100,000 criminals among other shocking statements, the mantle of sudden environmental advocate has been raising a few eyebrows. In December of last year, the Hong Kong based Galaxy Entertainment Group (GEG), which operates six luxury casinos in Macau and is listed on the Hong Kong stock exchange, presented its plans to invest up to $500 million in an integrated resort and casino on the tiny island. In fact, intensive lobbying for regulatory approval had already begun, with GEG announcing the plans together with Manila’s gambling regulator, PAGCOR, before making a courtesy call to visit President Duterte last December, as reported by Reuters. 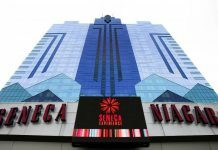 GEG, had already taken on a local partner, Leisure and Resorts World Corp, in attempts to solidify the deal and expand its holdings beyond Macau into the lucrative Philippine gambling market. PAGCOR is the third largest contributor to the government’s coffers in terms of revenue. The One Belt One Road initiative is China’s idea for a 21st century Silk Road, connecting Asian and Eurasian countries directly to China and strengthening China’s global trade position. A few months after the visit, in February of this year, Duterte publicly scolded the island for mismanagement, calling it, among other things, a “cesspool” and gave Environment Secretary Roy Cimatu six months to clean it up. But things seem to have suddenly changed course, as less than a month later, in a quiet announcement, the government officially gave permission for GEG’s Boracay casino resort, a minor detail that some say is more than just a coincidence. The suspension of tourism to the island has been met with mixed expressions of support and criticism, with many viewing it as an extreme but necessary move to restore the natural beauty of the island, others have voiced concerns that it is too drastic and sudden a change. 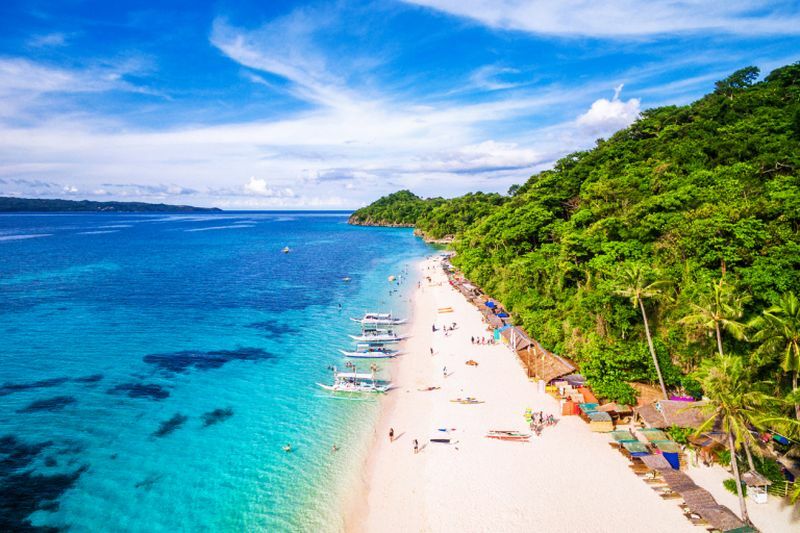 Though government officials have offered assurances that the closure will have a minimal impact on the national economy, the effects on Boracay have already begun, with travelers canceling their bookings and airlines decreasing the number of flights. With population growth spurred by the tourism industry and people from the mainland Philippines seeking jobs, many establishments were constructed hastily to accommodate the sudden increase in human traffic. On an island with a sewage system that was not equipped to handle the level of human activity, negative effects were inevitable. One contributing factor is the lack of compliance when it comes to businesses and environmental regulations. 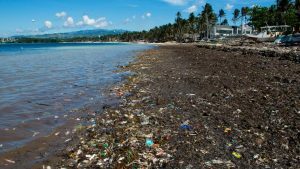 In fact, a number of businesses were found to be constructed with no sewerage systems, having tapped sewage lines directly into Boracay’s water line. Critics of the shutdown advocated for a gradual rehabilitation to be carried out in stages, with consequences for violators only. 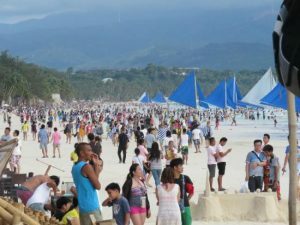 With its 500 tourism-related businesses, Boracay attracts approximately two million tourists a year, both foreign and local, generating an estimated yearly revenue of 56 billion pesos ($1.08 billion). Some see a strong undercurrent of hypocrisy in a move that shuts down the island’s tourism industry in the name of a cleaner, environmentally sustainable future, all while making way for a development that may very well cause further damage. The big question is … what are we supposed to see after six months, a completely repaired sewer system or will they be foundation works for the new casino and 1000 room hotel? At the end of the day, the timing of President Duterte’s sudden environmental activism raises more questions than it answers.